HONG KONG, 9 April, 2014 - Advanced Card Systems Ltd. (ACS), a top worldwide supplier of smart cards and smart card readers, will be an exhibitor and speaker in Cards & Payments Asia, from Apr 23 to 24, 2014. The tradeshow will be held in Suntec Singapore International Convention and Exhibition Centre. ACS will be in Booth H17. Speaking on behalf of ACS are Gilbert Leung, Vice President for Sales and Marketing, and Chiqui Acedilla, Sales Manager. Gilbert will talk about how NFC can be used to drive new revenue streams from advertising and promotional opportunities. Meanwhile, Chiqui will talk about easing into digital mobile wallet adoption through loyalty applications. 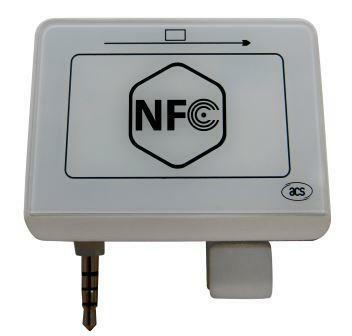 Among its other solutions, ACS will exhibit the ACR35, a reader for magnetic stripe cards and NFC tags. The ACR35 works with smartphones and tablets, delivering NFC capabilities even to devices without built-in NFC functionality. The ACR35 comes with a standard 3.5 mm audio jack interface, and uses AES 128 algorithm and DUKPT key management system to secure transactions. Cards & Payments Asia is regarded as Asia’s largest and most established tradeshow for smart cards and payments. Visitors will get not only access to a vast array of exhibitors, but also access to ideas from key industry players, and networking opportunities. The tradeshow will also include Smart Awards Asia, an awards event that recognizes outstanding sector achievements for the past 12 months. This year, ACS received two nominations in the Best Co-Branded Card category. For more information about Cards & Payments Asia, please visit: http://www.terrapinn.com/2014/cards-asia/index.stm.